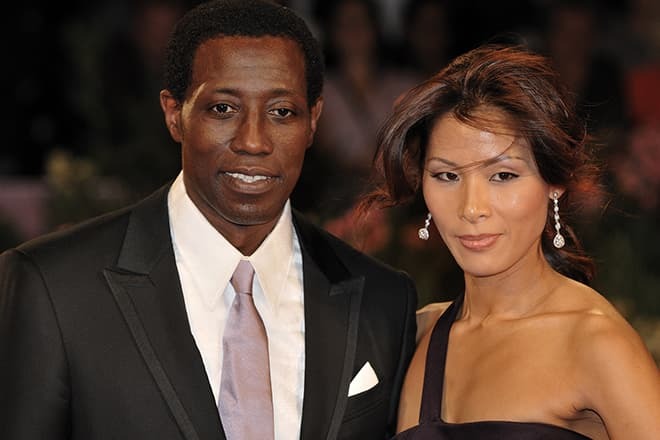 Wesley Snipes is a world-famous American actor. His credentials have more than 60 movies, including Blade, Demolition Man, Murder at 1600 and others. Wesley Trent Snipes was born on July 31, 1962, in Orlando, Florida, USA. His mother worked as an assistant teacher, and his father was an aircraft engineer. However, the father left the family when the boy was two years old. After the divorce, the mother decided to move from Orlando to the Bronx, New York, where her relatives lived. Then it was one of the roughest parts of the metropolis which was inhabited by poor African and Latin Americans, living in slums, and famous for numerous crimes. The family was short of money. The mother had to have a side job, and by hook or by crook she tried to save her son from turning to crime. When the boy was seven years old, she enrolled him at the school of martial arts, and the actor trained in Capoeira, an Afro-Brazilian martial art, for a long time. However, such a negative situation in the South Bronx was not a bad influence on the actor. He studied well and graduated from the High School of Performing Arts. Young Snipes chose singing, dancing and theatre classes. Soon, the family moved to their home state, and the future world-famous actor was forced to postpone his studies for a while. But he practiced enough, participated in the city drama troupe called Struttin' Street Stuff and earned his first money. Young Snipes wanted to acquire a prestigious education; thus after a while, he returned to New York City. There he entered the university, successfully graduated from it and received the cherished bachelor of arts degree. At the university, the actor continued to earn money filming in commercials and performing small roles in the theater. 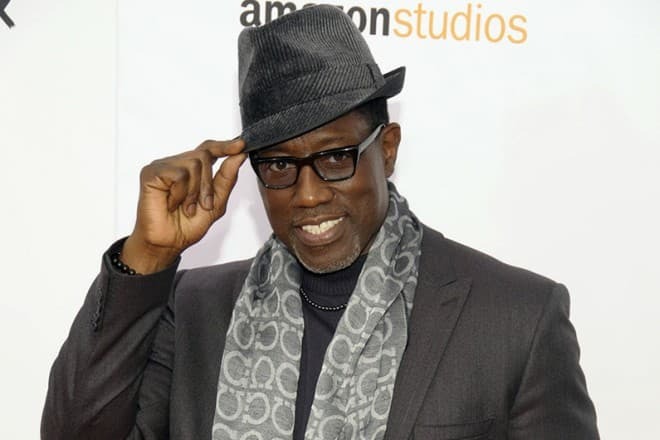 Wesley Snipes believed that he was talented and regularly went to numerous auditions during his studies at the university and after graduation. He made his film debut in the movie Wildcats directed by Goldie Hawn in 1986. Although the film was not very popular with viewers, it was of great importance for the actor's career to get a prominent role in the full-length movie. It was followed by bit parts in the films Streets of Gold and Critical Condition, and in 1987 there was a long-awaited breakthrough. However, it was not connected with the participation in the world-famous smash hit, but with the filming of the music video. They filmed the video for Michael Jackson's song "Bad." Snipes’s charisma and acting skills impressed the director of the video, Martin Scorsese, so much that he decided to continue working with the young actor. 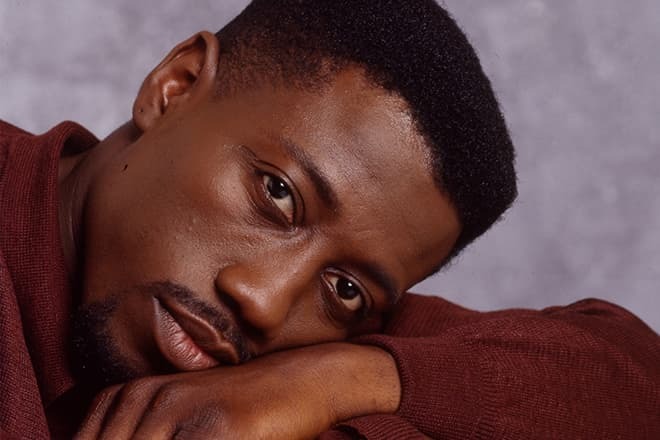 Thanks to him, Wesley got the leading role in the movie Mo' Better Blues, released in 1990. The result was not long in coming because directors noticed Snipes and began to offer characters. 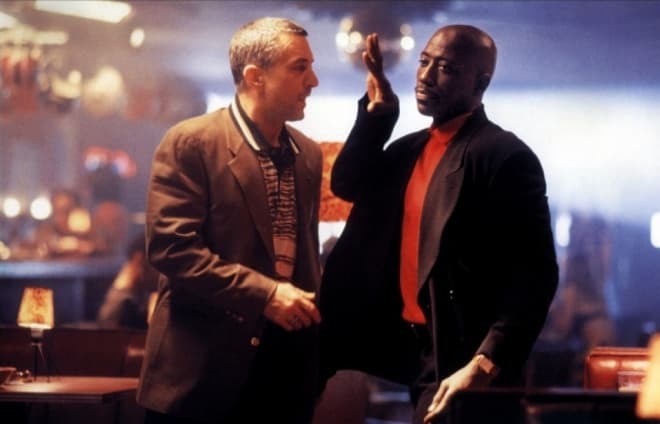 He played the unprincipled drug lord in the movie King of New York, and the courageous security officer in the movie Passenger 57, and several other characters. In 1992, Wesley starred in the film White Men Can't Jump about basketball. He and Woody Harrelson got the leading roles and subsequently received the MTV Movie Award nomination. But the most valuable thing was their strong friendship. By the way, the actors later starred in the action film Money Train. This time their movie duo was incredibly successful making the project top-grossing. Gradually, directors began to invite Snipes to big-budget films with great potential. So, in 1993, the actor managed to work with eminent Sean Connery in the action movie Rising Sun. 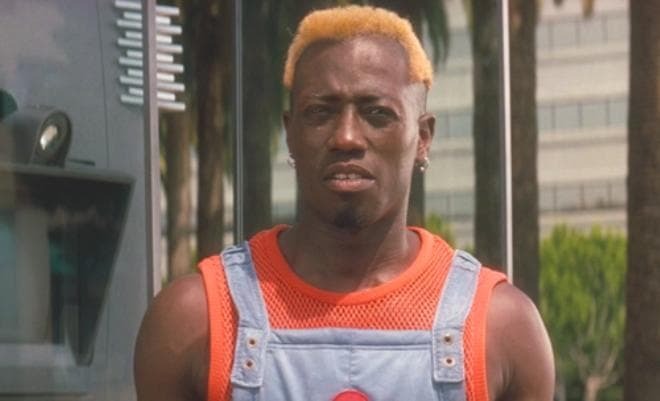 The same year, Wesley’s partner was famous Sylvester Stallone in the fantasy action movie Demolition Man. In 1996, the actor who became even more famous managed to work with Robert De Niro. The actors played leading roles in the thriller The Fan. The film tells about a football fan with mental illness and the developing of his disease. In the second half of the 1990s, Wesley proved that he could cope well with dramatic roles playing successfully in the melodrama One Night Stand alongside Nastassja Kinski. For this role, the actor even won the Volpi Cup at the Venice Film Festival. However, Snipes became world-famous for the role in the action movie. In 1998, he portrayed Blade (Eric Brooks) in the film Blade based on the Marvel comics character. The film tells about a human with vampire strengths obsessed with righteous rage and revenge. The same year, the actor received his star on the Hollywood Walk of Fame. 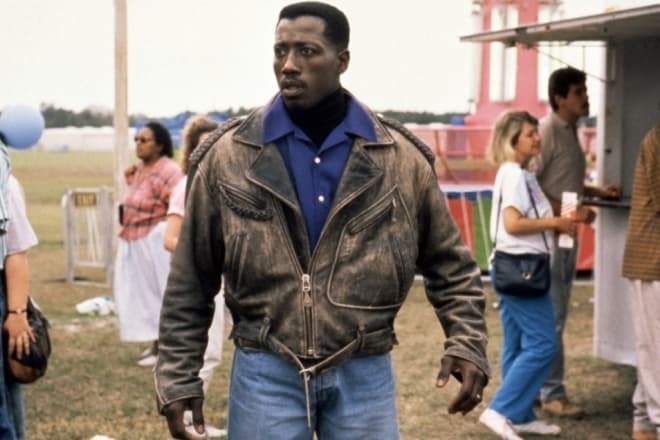 The sequels to Blade were not so popular as the first installment, which did not affect Wesley Snipes’s glory. The actor starred in one or two projects each year, and they often became commercially successful. Wesley brilliantly portrayed his characters in Liberty Stands Still, Unstoppable, Chaos, The Contractor, The Expendables 3, etc. 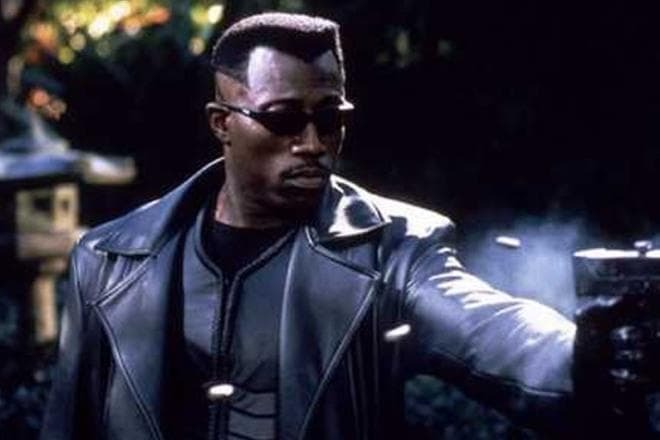 In 2014, information appeared on the Internet that Wesley Snipes would play in the new part of the Blade franchise. The actor's income will be $ 3 million plus a percentage of the revenue from the movie if it is a box office success. But the film has not been released so far. Perhaps that was just the rumor. The actor's partners on the set were Tommy Lee Jones, Jennifer Lopez, Jason Statham, Halle Berry, and other famous actors. 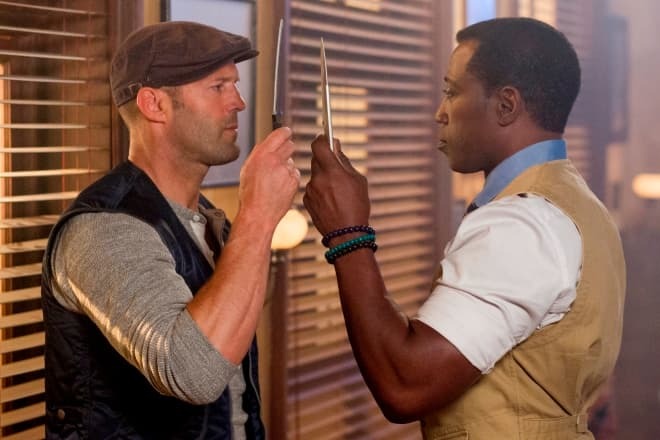 In 2016, Snipes appeared in the film Five Minutes to Live. Nowadays, the actor is still actively filming and is confident that his best movies are yet to come. 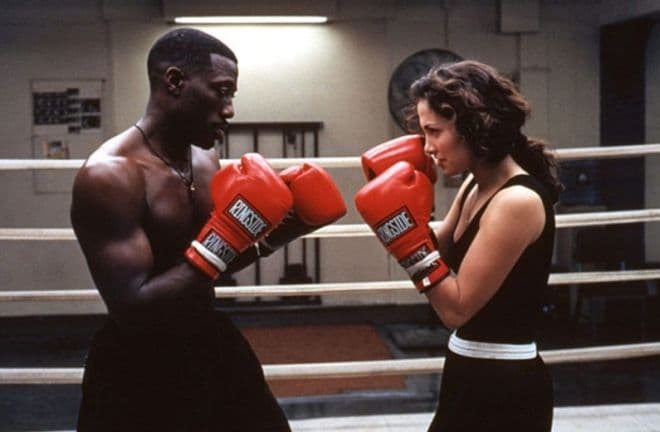 Stocky Wesley Snipes, whose height is 5.74 ft. (175 cm), and the weight is about 194.00 lbs. (88 kg), has always attracted the attention of women. The actor has been married twice. 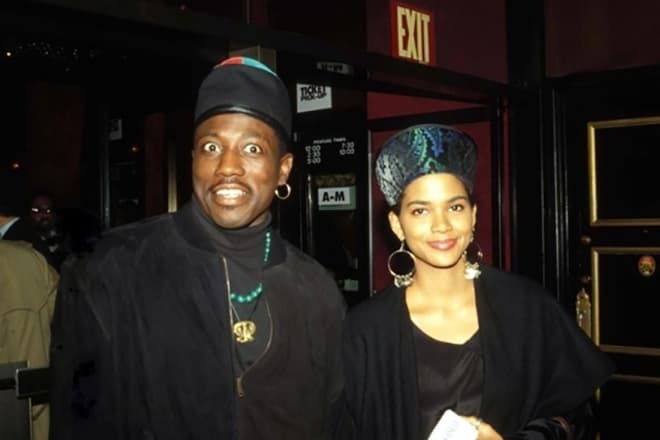 In 1985, his wife became a longtime girlfriend named April, a native of Puerto Rico. Three years after the wedding, the wife gave birth to a son named Jelani Asar. Unfortunately, the happy family life did not last long, and in 1990 their marriage broke up. Subsequently, Wesley dated actress Halle Berry, artist Donna Wong, and other attractive women. But Korean Nikki Park could change his life. Snipes met this beautiful lady in the early 2000s, and in 2003 they married. There are also children in this marriage. His beloved wife gave birth to three sons and one daughter. However, Nikki is still young, and it is possible that the family will have more children. In 2008, it turned out during the trial that Wesley Snipes did not file federal income tax returns for ten years (from 1991 to 2001). As a result, he had to pay more than fifteen million dollars and was sentenced to three years in prison. Snipes tried to buy his freedom paying off the debt, but the court declined to hear his appeal. When the court considered an appeal, Wesley was released on bail. But in December of 2010, shortly after the decline, the actor went to prison. He served time in jail in Pennsylvania. Snipes was freed from prison for good behavior before the end of his sentence in April 2013. The actor continues to film, and his imprisonment has not been a bad influence on his career. But in 2016, he decided to try his hand at writing. He and Ray Norman co-wrote the book “Talon of God.” He said it on Instagram. The novel is similar to the story of Blade. Wesley Snipes has said that initially, they wrote the book that could be later filmed. It tells about the war between heaven and hell. The story centers on Dr. Lauryn Jefferson and the spiritual warrior named Talon Hunter who wants to retire and stop fighting with evil spirits. So, he imparts knowledge to his follower (Lauryn). Of course, no one doubts that if they shoot the film, Snipes will play the leading role. 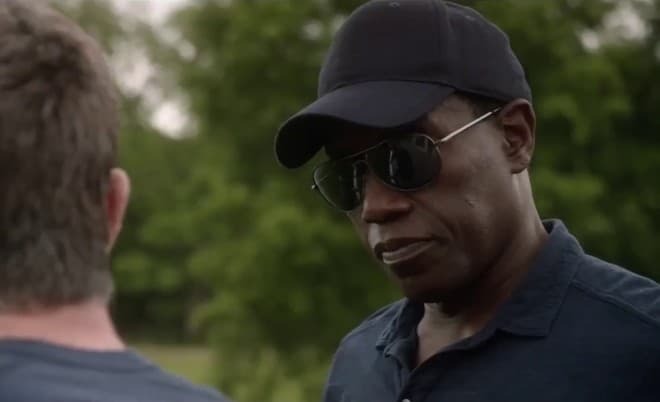 In 2017, Wesley Snipes appeared in two movies: the thriller Armed Response and the horror film The Recall. There is also information on the Internet that the actor is filming in the fantasy thriller Chronicles of the Mayan Tunnel. Supposedly, the film will follow the exploits of four youngsters sent back in time 1500 years to the height of the Mayan Empire. But they have not yet announced the premiere date. So, it is unknown whether it will be released in 2018 or not. The net worth: $10 million dollars.